For anyone to be successful, he/she just needs two things, a pat on his/her shoulder by his/her father, mother, friend, love, to make him/her move towards success with confidence, and an another pat, a congratulation, on his/her shoulder which makes him/her to continue to achieve more successes. 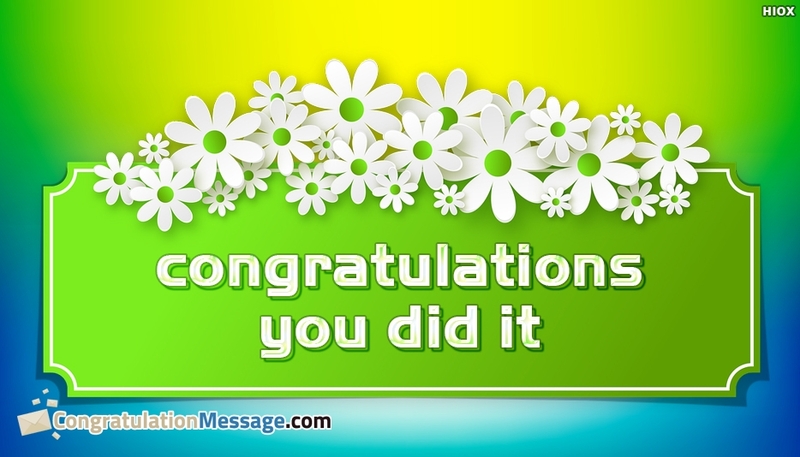 Here is an opportunity for you to congratulate your love or friend with this beautiful congratulations picture with the message "Congratulations You did it". Use this picture to make your love or friend feel more confident and happy.